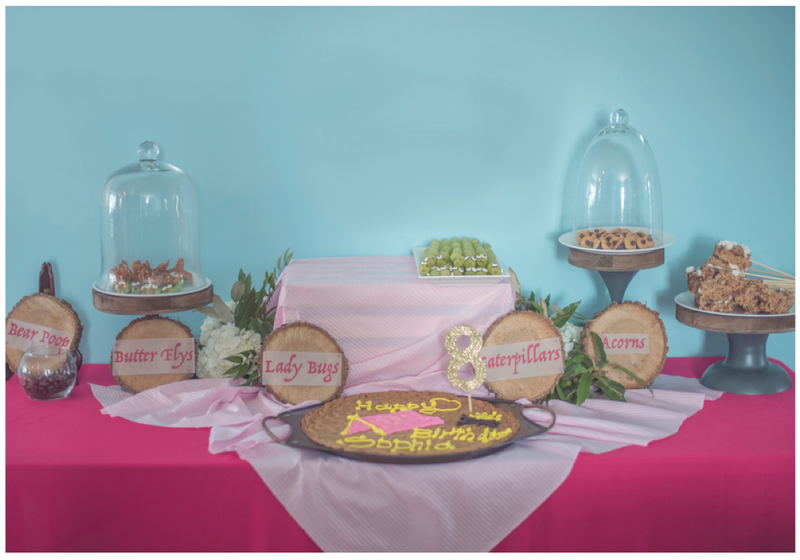 Sophia was turning 8--that young age when a girl starts to really enjoy doing things like her nails and hair, but at the same time still loves playing in the dirt. 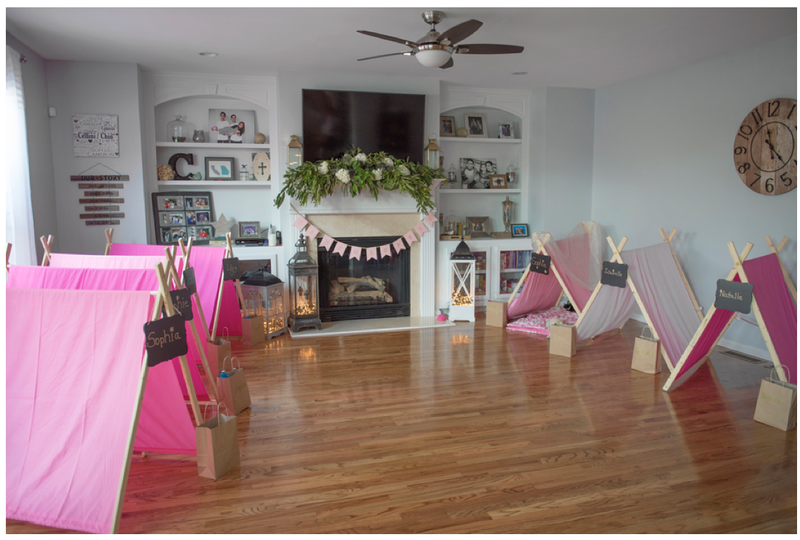 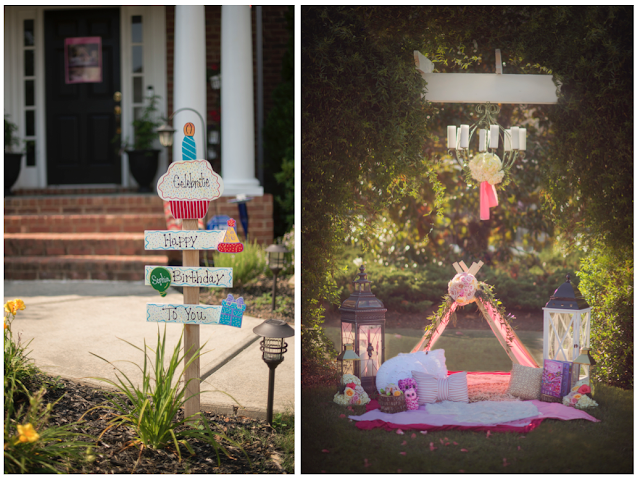 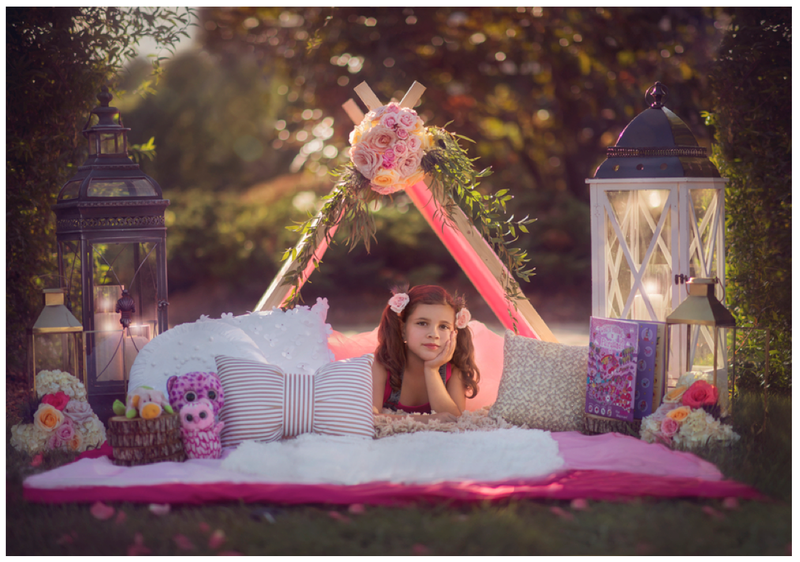 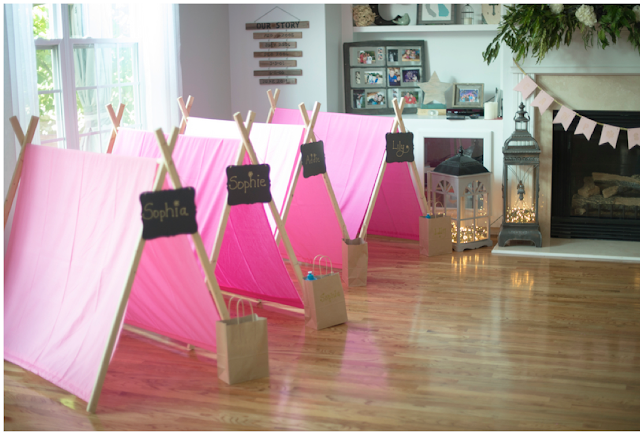 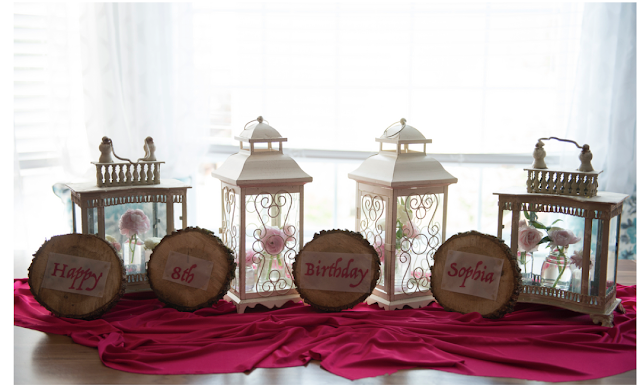 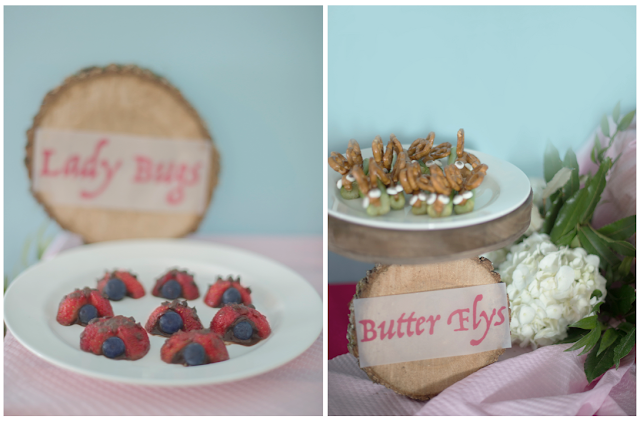 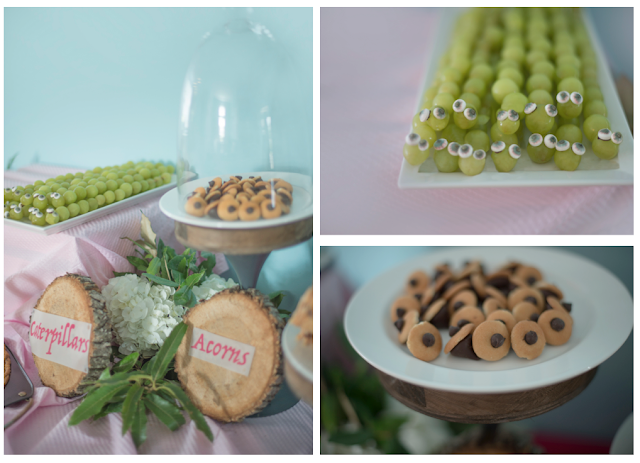 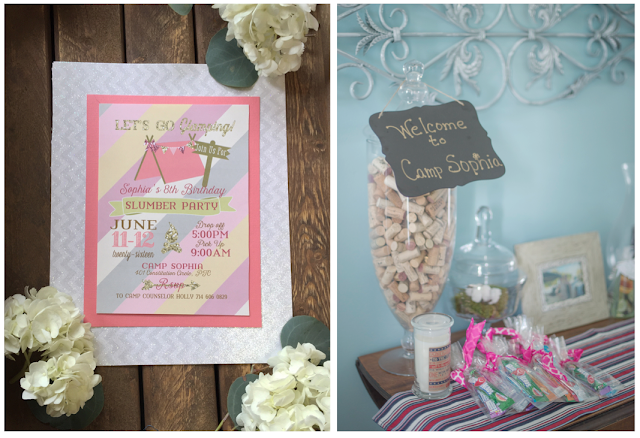 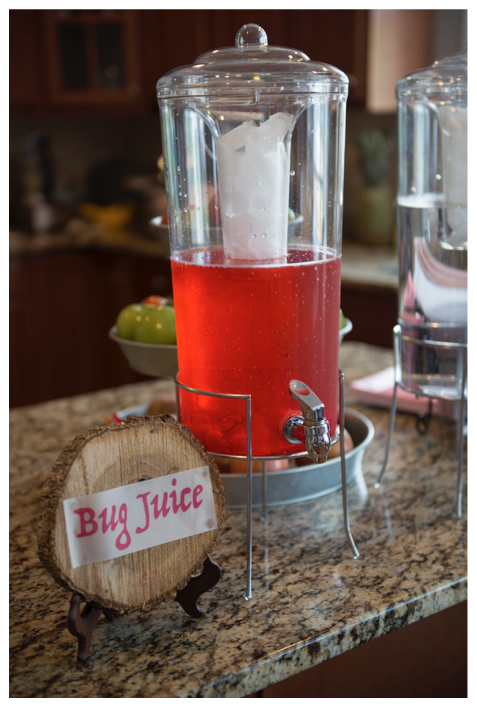 A glamping party seemed like the perfect way to celebrate--combining the girly with the rustic. How fun are the food ideas?! 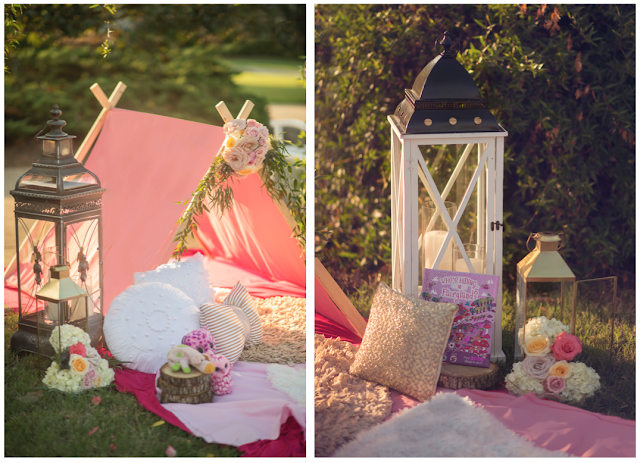 And the florals that adorn the birthday girl's tent are a beautiful touch. Thank you to Georgia's Everything Lovely for sharing the glam details with us! BRINNER FOR AN 18th BIRTHDAY!